The sports world was left speechless late Friday night when news broke that boxing legend Muhammad Ali had died at age 74. Just one day before, Ali was admitted to the hospital for respiratory issues, the latest in a series of hospitalizations in recent years. So just how did Muhammad Ali die? While no official cause of death has been released, it seems his latest respiratory illness was complicated by late-stage Parkinson's. "After a 32-year battle with Parkinson’s disease, Muhammad Ali has passed away at the age of 74," family spokesman Bob Gunnell said in a statement Friday night. "The three-time World Heavyweight Champion boxer died this evening." Ali was diagnosed with Parkinson's in 1984, just three years after he retired from boxing. Parkinson's is a progressive disorder of the neurological system that affects movement. It is degenerative, and there is no cure, meaning that for many, it is a lifelong disease. After his diagnosis, Ali kept up appearances, traveling frequently to participate in humanitarian efforts and international events. In 1991, he visited Iraq to negotiate the release of American hostages. Five years later, Ali was chosen to light the flame at the 1996 Summer Olympics in Atlanta, Georgia. In recent years, however, Ali has mostly kept out of the public eye, due to the debilitating effects of the disease on his speech and mobility. 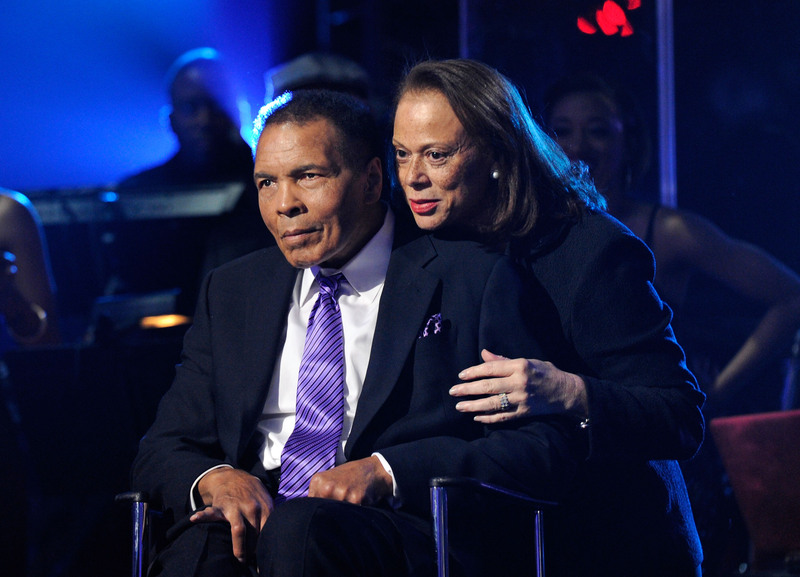 In 2009, he wrote a piece for NPR that was read aloud by his wife Lonnie Ali. Despite his diagnosis, he remained steadfast. Since that diagnosis, my symptoms have increased and my ability to speak in audible tones has diminished. If there was anything that would strike at the core of my confidence in myself, it would be this insidious disease. But my confidence and will to continue to live life as I choose won't be compromised. Ali returned to the Olympic stage in 2012 as one of the titular bearers of the flag during the Summer Olympics in London. In December 2014, Ali was rushed to the hospital with a mild case of pneumonia. One month later, he returned to the hospital after being found unresponsive in bed. Ultimately diagnosed with a urinary tract infection, he was sent home to rest. On Thursday, he was admitted to the hospital after having difficulty breathing. Ali leaves behind a legacy, not only in sports, but as a person who touched a nation. His disease will undoubtedly bring awareness to a debilitating disorder that affects nearly 10 million people worldwide. We are on this journey for a reason, I know that — whether it was to bring attention to this illness [or] whether it was to save his mortal soul. Muhammad is a very spiritual person. Lord knows this has made him more reflective and pensive.